dal fry recipe | dal recipe | toor dal fry or arhar dal fry with detailed photo and video recipe. a easy and healthy lentil based soup or thick lentil curry is mainly eaten with rice or with indian flat-breads. it is perhaps one of the most common lentil based curry prepared all over india including both north and south. 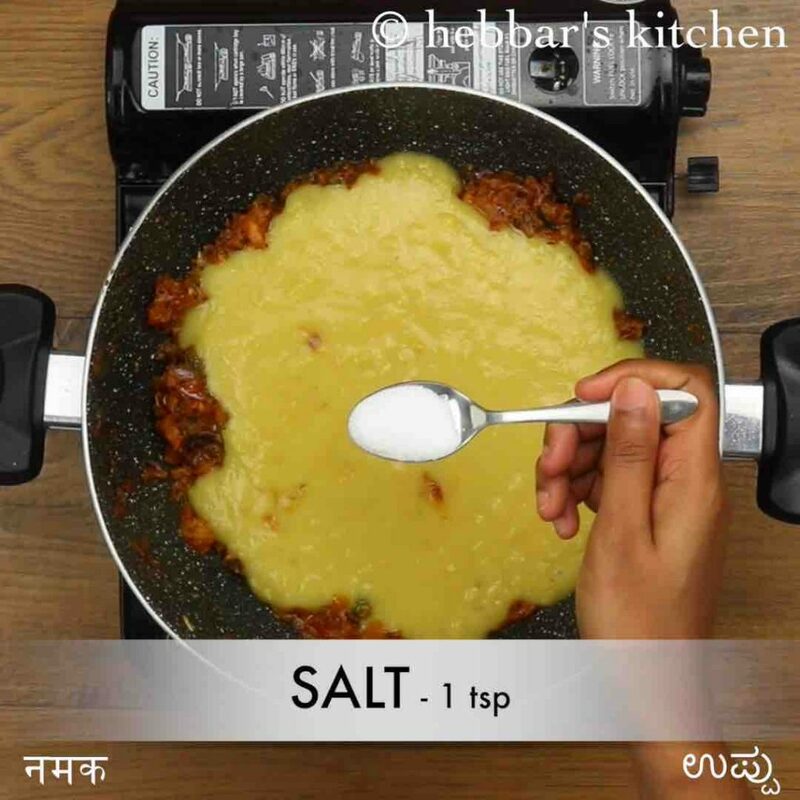 there are many variations, ranging from restaurant style to dhaba style, but this is a simple home-made arhar dal fry recipe. dal fry recipe | dal recipe | toor dal fry or arhar dal fry with step by step photo and video recipe. indian cuisine deals with various dal recipes ranging from yellow, to black to red coloured lentil recipes. but the most common one is the toor dal fry or arhar dal fry. it can be either for day to day meals or for any festival and occasions. while we all welcome and accepts all kinds of dal recipes, dal fry and dal tadka recipes are most popular and commonly prepared. but i guess most of them still do not know the basic difference between dal fry and dal tadka recipe. 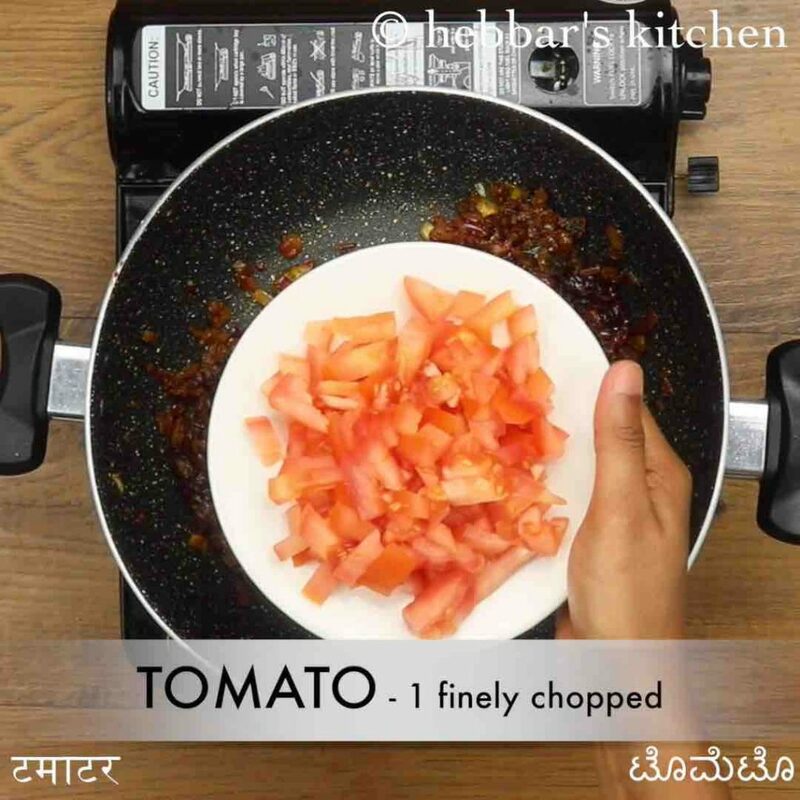 basically, in dal fry recipe, the tadka or tempering is prepared at the beginning and also to the same tadka onion and tomatoes are also added. 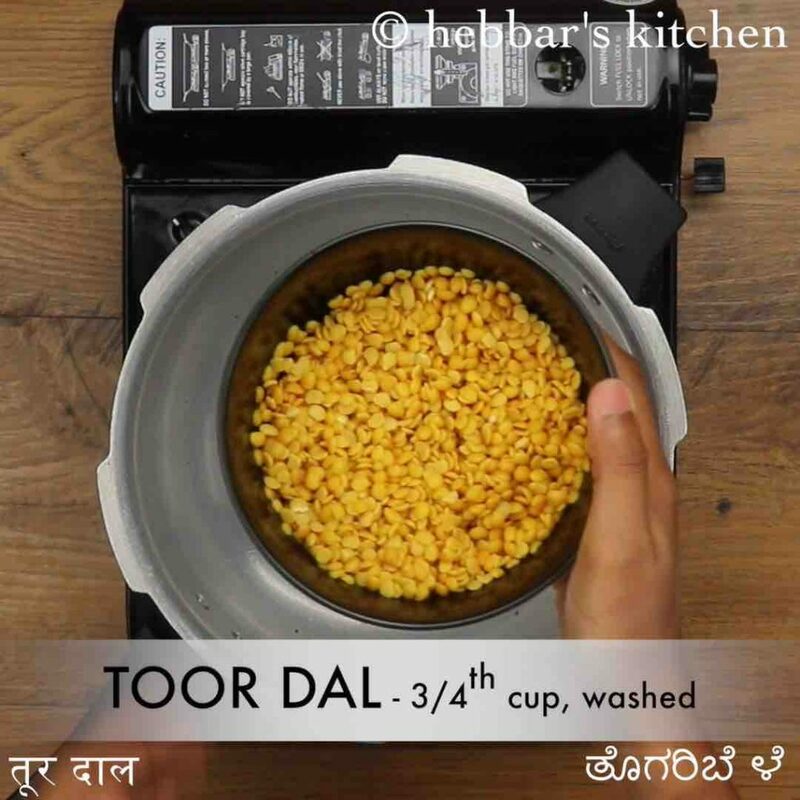 once sautéed, cooked or pressure cooked toor dal or arahar dal is added on top of it. whereas in dal tadka, tempering is added as the final step after cooking and adding all the spices to lentil. note that adding onion and tomatoes are not mandatory in dal tadka and also any choice of dal can be used to prepare it. the recipe for toor dal fry or arhar dal fry is very easy to prepare with no complicated steps. 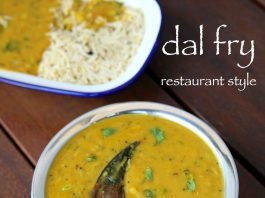 yet some tips, recommendations and serving ideas for dal fry recipe. 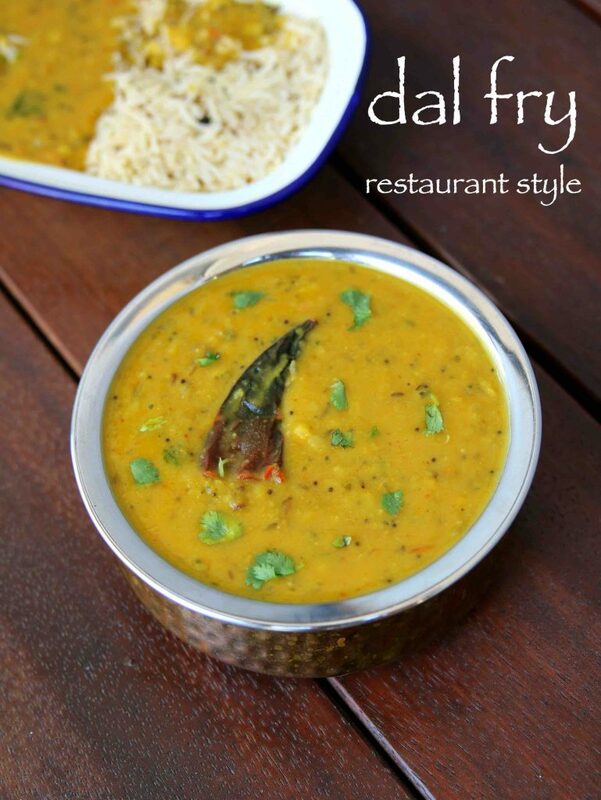 firstly, the consistency of dal fry is very critical and should not be either thin or thick. 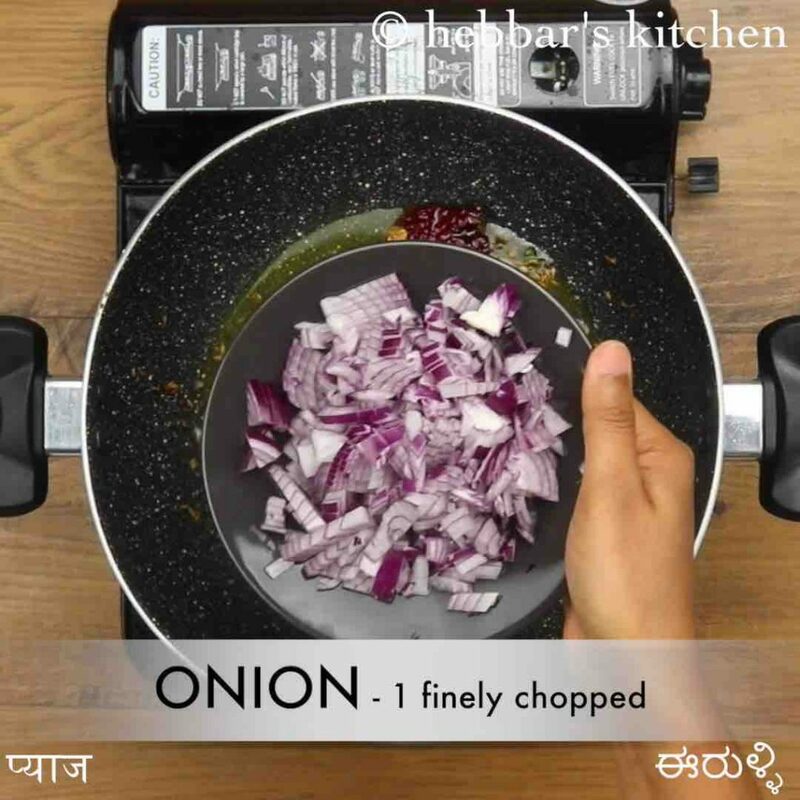 it should be runny consistency and should be able to easily mix it with rice or jeera rice. 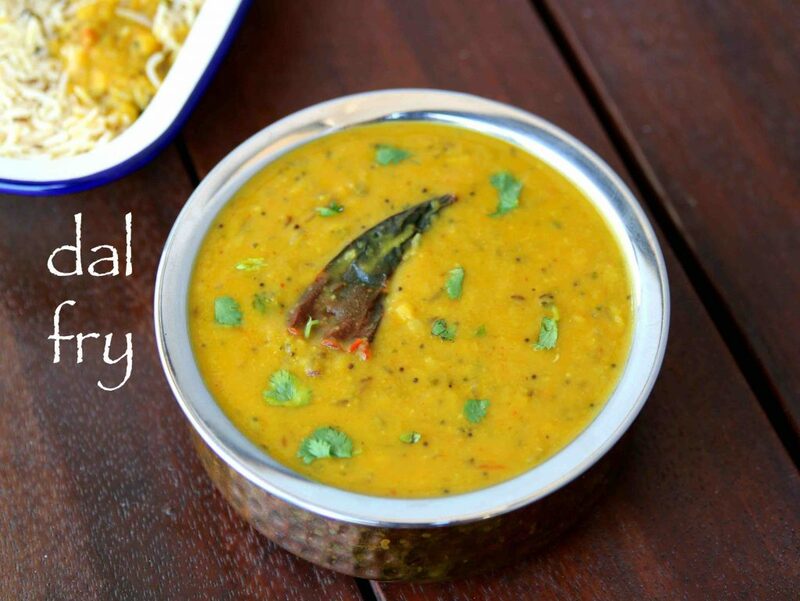 secondly, the dal fry is generally prepared only with toor dal or pigeon pea lentil. however, you can easily experiment the recipe and extend it by adding equal proportions of chana dal or moong dal for variations. lastly, if you are frequent prepare dal recipes, than you can deep freeze the pressure cooked dal in the refrigerator. just deep frost the frozen dal and mix it with tempering whenever required. 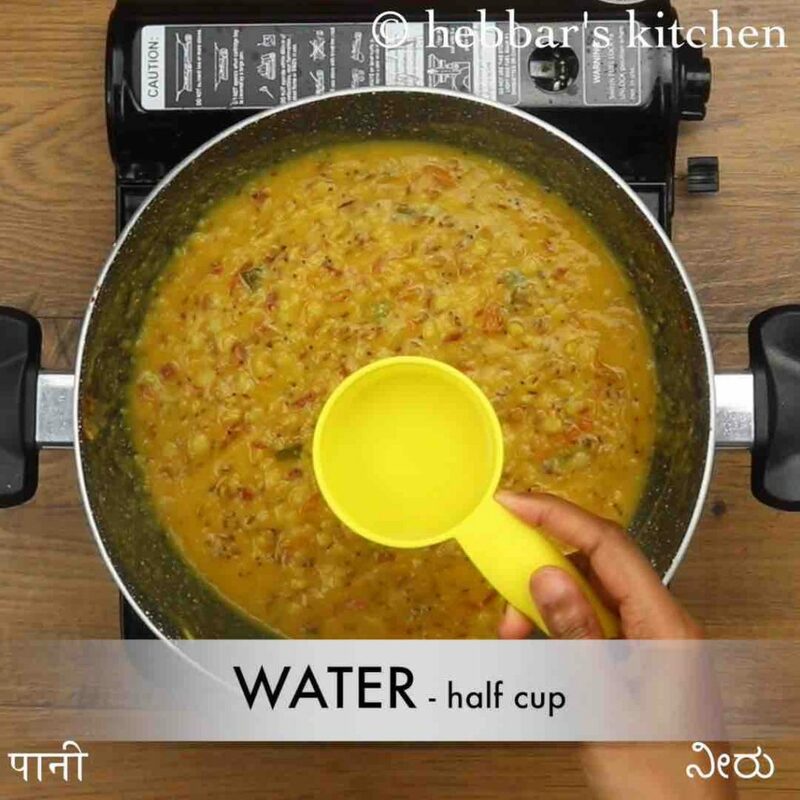 firstly in a pressure cook ¾ cup toor dal and 3 cup water for 5 whistles. now in another kadai heat 1 tbsp ghee and splutter 1 tsp mustard, 1 tsp jeera, 1 dried red chilli, few curry leaves and pinch of hing. add in 1 onion followed by 1 tsp ginger garlic paste and 1 green chilli. saute well. 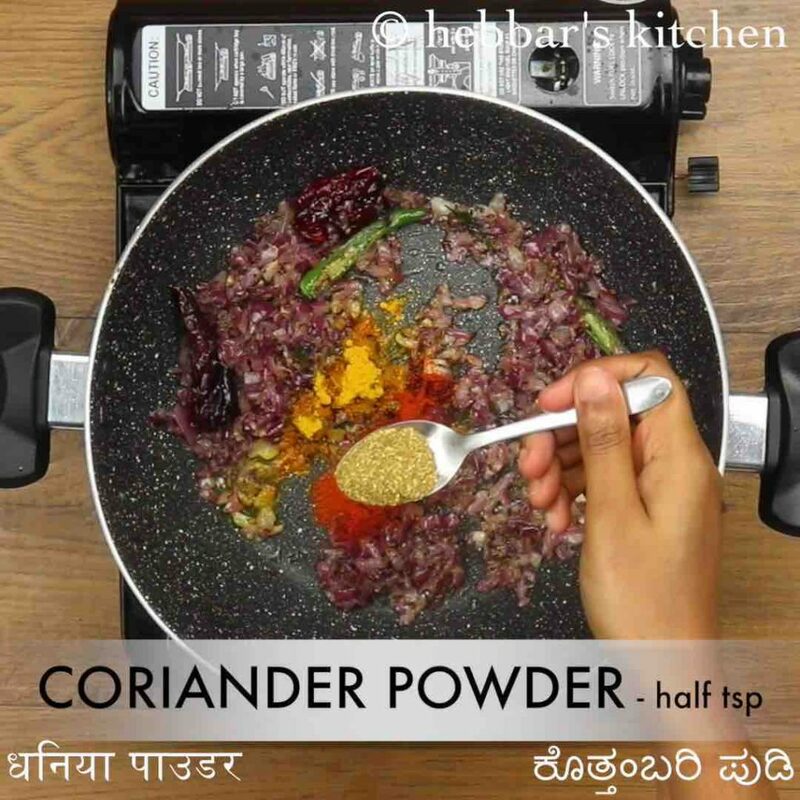 further add ¼ tsp turmeric, ½ tsp chilli powder and ½ tsp coriander powder. saute on low flame. additionally add 1 tomato and saute till it turns soft and mushy. add the cooked dal along with 1 tsp salt. mix well. 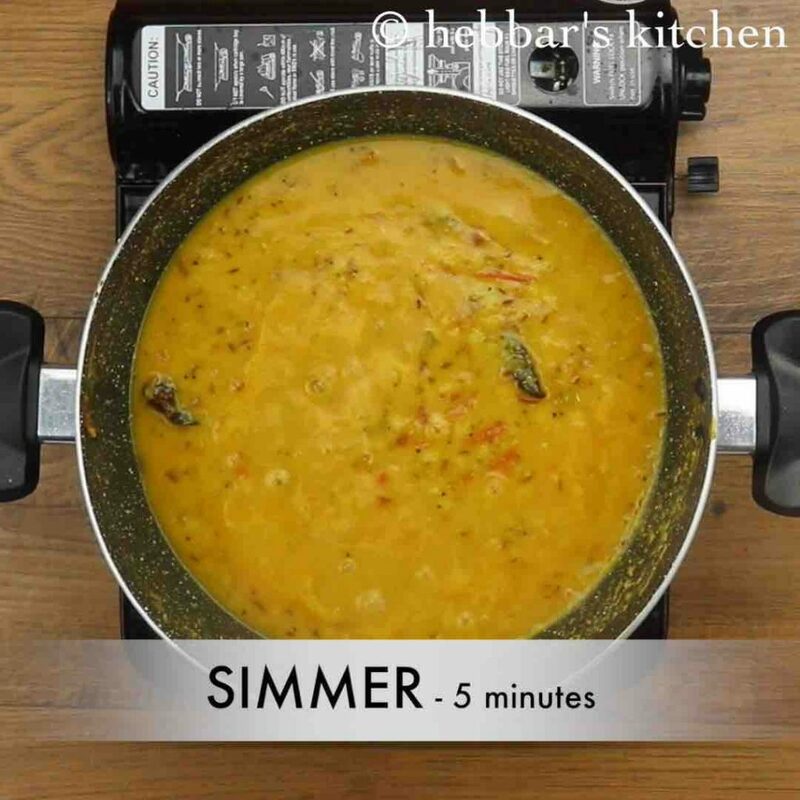 simmer for 5 minutes or till dal turns smooth and absorbs flavour. 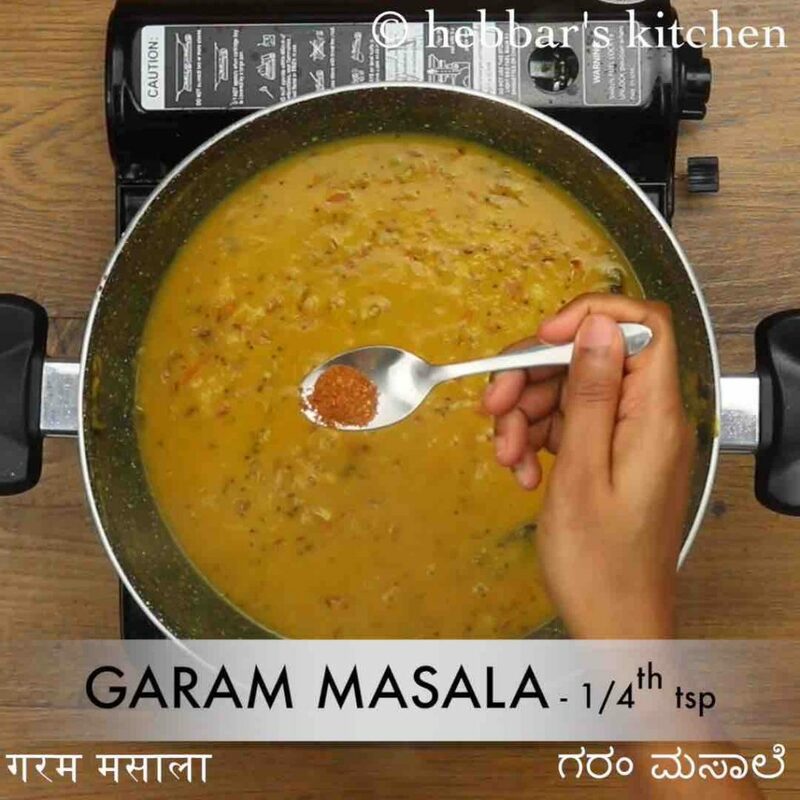 now add ¼ tsp garam masala, 1 tbsp coriander and 1 tsp crushed kasuri methi. finally, serve dal fry with hot jeera rice or ghee rice. firstly in a pressure cooker take ¾ cup toor dal and 3 cup water. 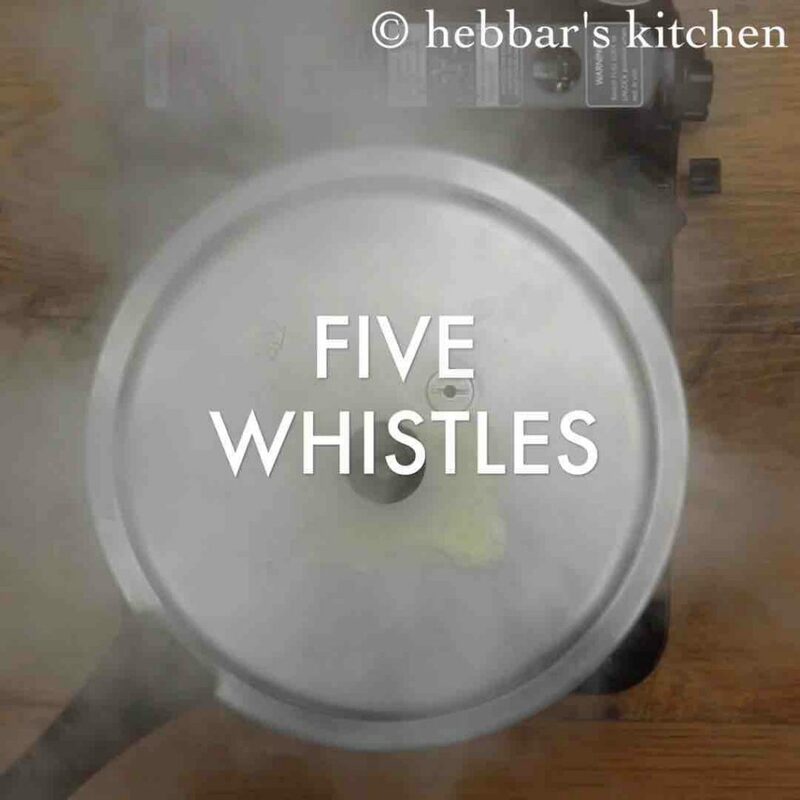 pressure cook for 5 whistles or till dal gets cooked completely. now in another kadai heat 1 tbsp ghee and splutter 1 tsp mustard, 1 tsp jeera, 1 dried red chilli, few curry leaves and a pinch of hing. 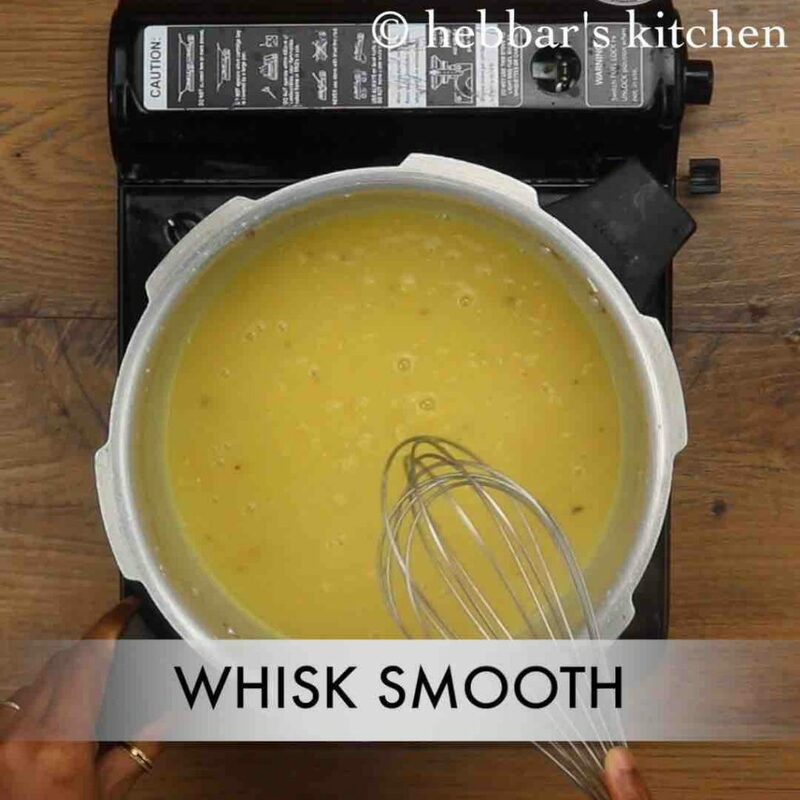 now whisk the cooked dal to smooth consistency. further add ½ cup water and adjust the consistency. firstly, add combination of toor dal and moong dal for more rich flavour. also, preparing dal with ghee will make give flavour as prepared in restaurant. additionally, adjust the consistency of dal by adding water as required. finally, dal fry recipe tastes great when prepared slightly spicy.